What are Nutramax Cosequin Soft Chews for Cats? 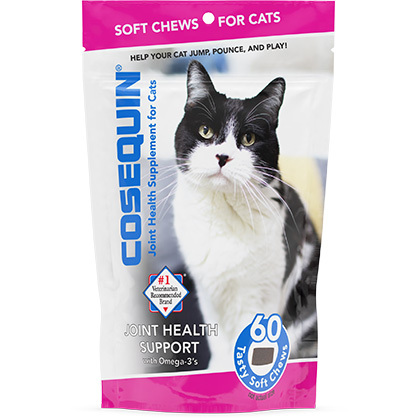 Nutramax Cosequin Soft Chews for Cats is recommended by veterinarians to promote optimal joint health in cats of all sizes. This soft, tasty chew is easy to give your cat daily and contains effective ingredients to help keep your pet's joints supple and flexible. The combination of glucosamine hydrochloride and chondroitin sulfate helps keep joints functioning properly while protecting delicate cartilage. Omega-3 fatty acids help to support skin and coat health, while also promoting overall wellness. Nutramax Cosequin Soft Chews for Cats may also support bladder health in cats of all ages. How do Nutramax Cosequin Soft Chews for Cats work? Nutramax Cosequin Soft Chews for Cats contain glucosamine hydrochloride and chondroitin sulfate, known to support joint health so your cat can enjoy a lifetime of activity and play. The addition of Omega-3 fatty acids promotes a soft, healthy coat and supple skin, while also promoting overall good health. 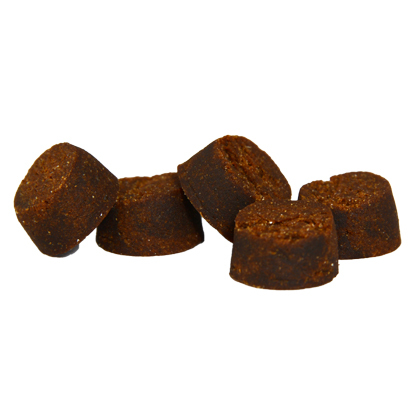 Nutramax Cosequin Soft Chews for Cats are soft and tasty, so your cat will enjoy them daily as a healthful treat. Store in a cool, dry place. Keep bag tightly closed for freshness.